WHEN Karen Staude looked out her window, all she could see was a smoke haze. 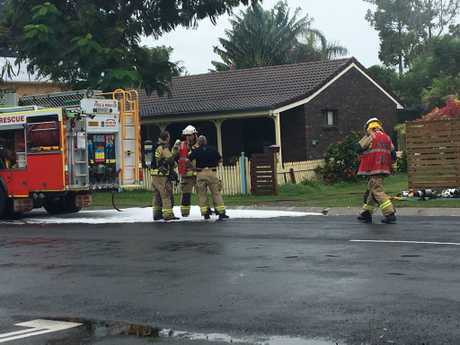 She ran out moments later to find that her neighbour's house was on fire, with their dog trapped in the backyard of the Urangan home. 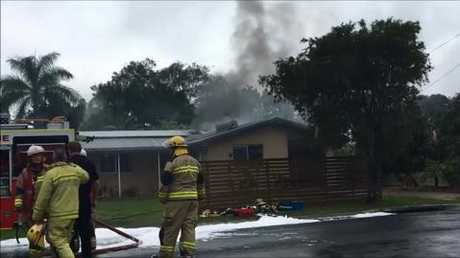 Crews bring a house fire in Urangan under control. "I couldn't see anything outside because smoke was everywhere," Ms Staude said. "It was coming from the neighbour I checked if anyone was there and there wasn't." She pulled dog Jazz to safety as emergency crews arrived to the house fire at Churchill St. Firefighters were called to the incident about 10.30am on Friday, and battled the blaze for the next hour. The house's owners arrived shortly after to witness the tragedy unfold. It took the assistance of seven fire trucks an hour to put out the blaze. The fire damage to about a quarter of the house, with visible damage at the garage. 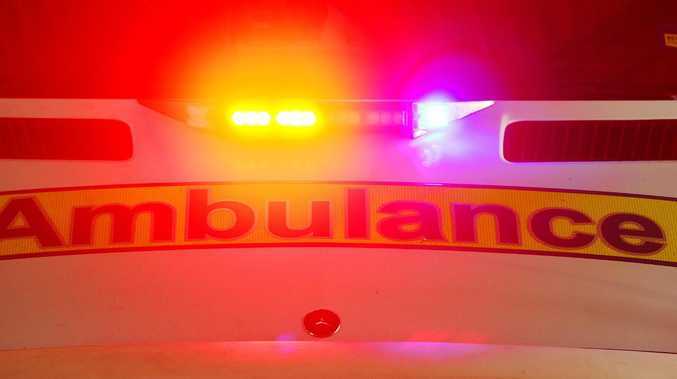 A Queensland Fire Emergency Service spokesman said the house was now deemed "uninhabitable". Investigation is continuing into the cause of the fire.